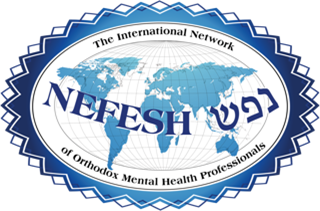 The views and statements expressed in all blog postings do not necessarily represent the views of NEFESH and are solely the views and statements of the individual blogger. You came to me from a colleague with those dreaded words, “this one’s for you…” I aged three years just trying to get you to sign my policies and consents. But by the time we were finished drawing and picking apart your family tree, we were bonding in mutual amazement- mine at your brave story and you of my piecing together of your story. Your letter and expressions of appreciation mean a lot, and as I hold it in my hand I wonder how to help you hold on to those feelings even when childhood feelings of abandonment and worthlessness come up and the pull to devalue and split off from our valued connection rages within you. All I can do is continue to be consistent, predictable, hopeful. You light up the room with your energy and color, even when it’s chaotic. I love your talents: teaching, putting together outfits, sewing, baking. I love when you save some of your cookie batch for me, and bring it in bedgrudgingly but bravely when you’re mad. I love our little private jokes that never stop making us giggle together. I love the cleverness and the fortitude with which you fool yourself into believing what you believe about people and situations. I love the intelligence it took to braid such elaborate stories, and the vehemence with which you hold tight to the sinking ship even as I hold out my hand. You are so full of energy and life, and I try to help you channel it away from the crushing rocks during the storm, and onto the serene shores of self-compassion. You are slowly healing, up and down and up and down but overall gradually climbing that mountain. I’m so proud of you, and of me, for our hard work together. You try to convince me that you’re bad, I’m bad, I’m abandoning you, you’re abandoning me, you’re a fake, I’m a fake, you’re mean, I’m mean. I put that Gorilla Glue under my feet and keep assuring you we are both flawed, precious humans. I’m not going anywhere. You struggle in your traps; unable to move left or right without being bad, guilty or a failure. I feel your torment, and reflect it back when you trap me. We are trapped together, and I gently slip out from the trap for myself, inviting you to give yourself the same permission. I know you too will hit your head hard on that “borderline ceiling”…that moment when your terrified “inner child” pulls the plug on your fearless new way of living because she isn’t fully convinced it’s safe to let go of the old survival rules. We will both feel devastated and I will be a strong guide, and cope with my disappointment and frustration on my own time. Do I go home, grab the corners of my pillowcase and bang the pillow against the mattress some days? Sure! I hope you do too. This is how we let the feelings move through us. Please know, I take care of myself, and you need not worry. I believe in you and I can contain and hold your pain. It’s not too much for me, or too ugly. You deserve to be heard, and I am interested. I’m so sorry they weren’t able to give you that. Thanks for being brave and trying the new intervention I trained in. Thanks for having faith and cheering me on. Thanks for helping me help you. Thank you for believing in our work. You are “good enough” and precious, and Hashem loves you and so do I. And soon you will know it in your gut. I hand you a square of paper with a smiley that says, “I like you”. And we sweat a full hour before you can take it from my hand. It’s not a trick, it’s just how I feel. It was written in response to a letter published in the prior issue by an anonymous individual in psychotherapy for Borderline Personality Disorder, in which she documents her journey.